The World Health Organization has said that some 910,000 lives have been saved so far under a six-year-old policy of cooperation between AIDS and tuberculosis health services. The stepped-up collaboration has brought about better protection of AIDS patients against TB, a leading killer of people living with HIV, the Geneva-based UN agency said in a statement. The number of HIV-positive patients tested for TB grew nearly 12-fold between 2005 and 2010, from 200,000 to more than 2.3 million. In the other direction, the number of TB patients screened for HIV grew five-fold, from 470,000 to 2.2 million over the same period. Since HIV weakens the immune system, HIV-positive people are more likely to be infected with TB, and vice versa. 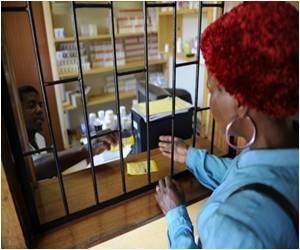 "We must address TB as we manage HIV," said Gottfried Hirnschall, who heads WHO's HIV/AIDS department. The three-pronged approach involves routine HIV screening for TB patients, those with TB symptoms and their partners or family members; making available co-trimoxazole, a drug that prevents lung infections; and beginning retroviral treatment for both HIV and TB patients as soon as possible. The policy of joint prevention, diagnosis and treatment of TB and HIV will be presented Monday at a major scientific conference on AIDS, the annual Conference on Retroviruses and Opportunistic Infections, in the northwestern US city of Seattle.